Who said playing games is not a lucrative business? 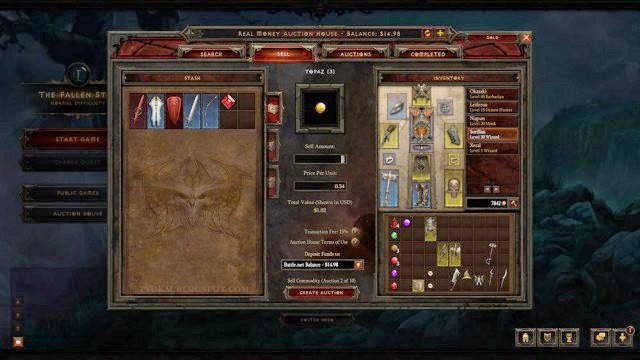 A Diablo III gamer managed to undermine the assumptions that gaming isn't profitable by successfully using the features of Real Money Auction House (RMAH) that is available in Diablo III very well. The gamer, who is also a Reddit user with the nickname 'WishboneTheDog', revealed that he managed to earn USD $10,000 in less than three months. Well, WishboneTheDog does not mess with his posting. 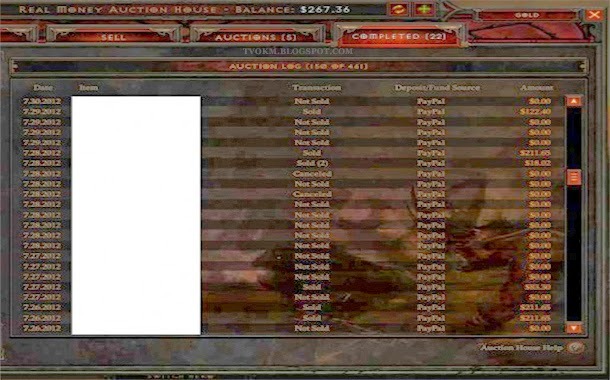 As proof, he posted a screenshot of his PayPal account that showed the amount and flow of payments made by Blizzard to him. If calculated in detail, he could earn USD $1,600 in a week. If he can maintain his income like this, he will earn USD $40,000 (about RM 130,880.00) by only selling items in the game! Here is a screenshot from the RMAH. Furthermore, he said the "selling" on RMAH is almost like a full-time job for him because he could spend 8 to 12 hours daily, while simultaneously doing some "selling" on RMAH. He also opened up opportunities for other players on the Reddit page who wants to know the tips and tricks to earn a lot of money just to playing Diablo III. Are you attracted to make playing games as your main source of income?